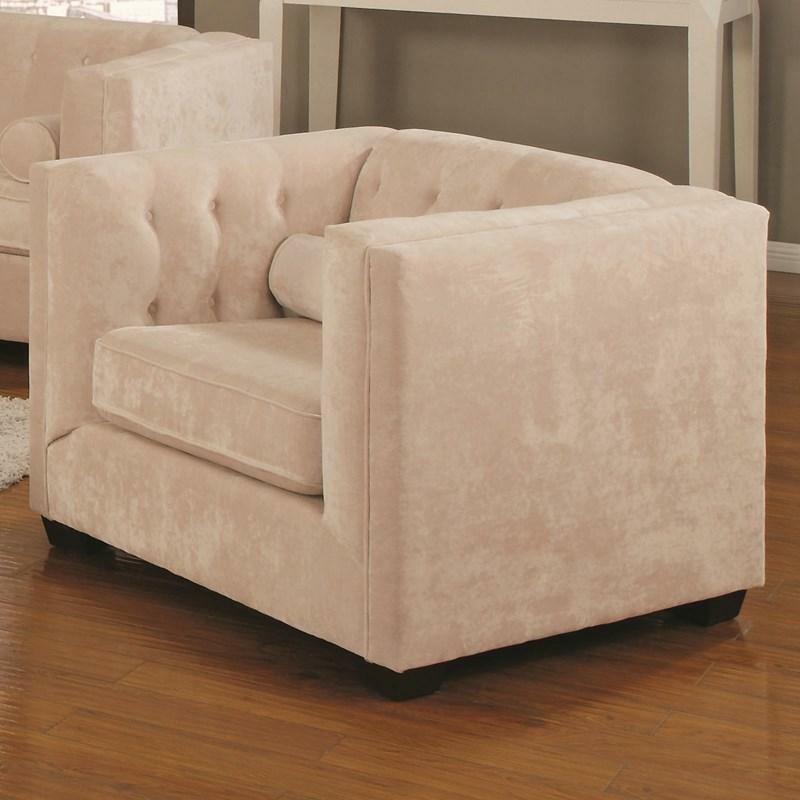 This transitional style loveseat from Coaster Furniture features fully reversible seat cushions, a decorative tufted back, an almond leg finish and is wrapped in almond chenille fabric upholstery. 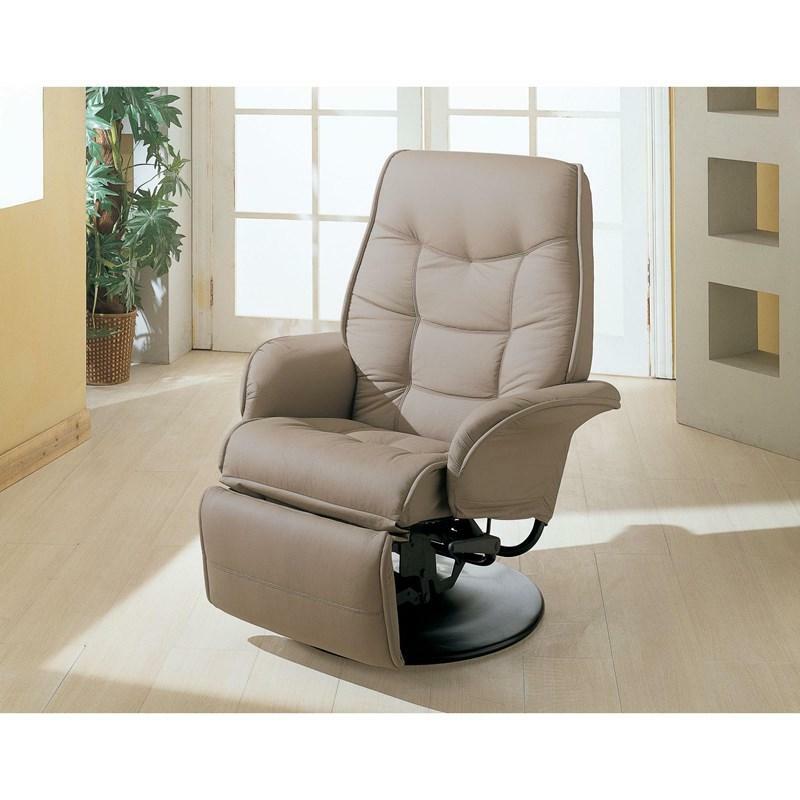 Comfortable lumbar pillows are included to enhance the comfort. 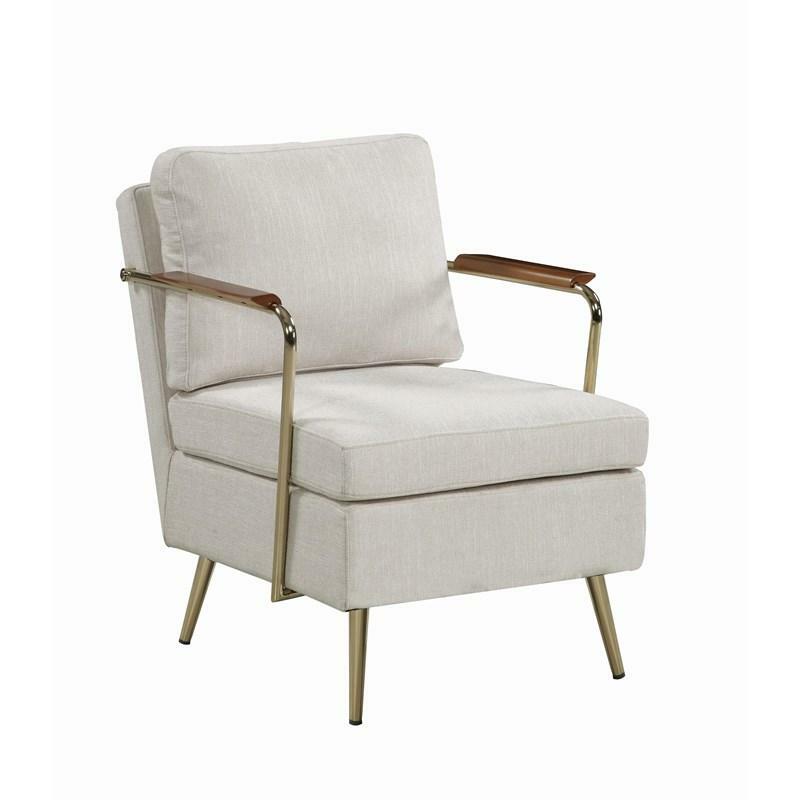 Matching pieces from the Alexis Collection are available to complete the set. Volume 34.4 cu. ft. / 0.97 cu. 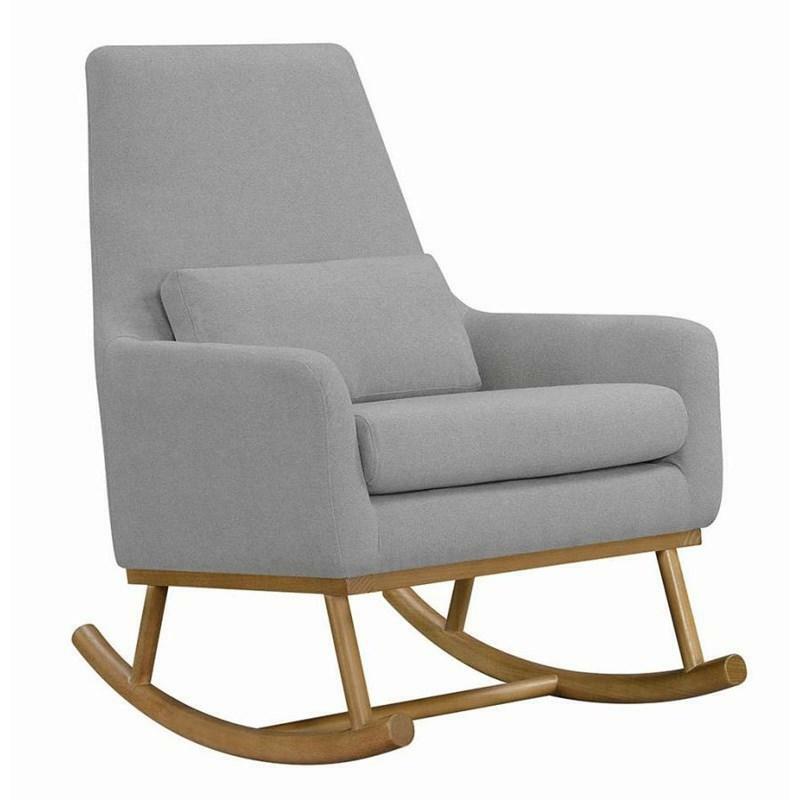 m.
This European modern look of this beautiful Rocking Chair makes it the perfect addition to your home. 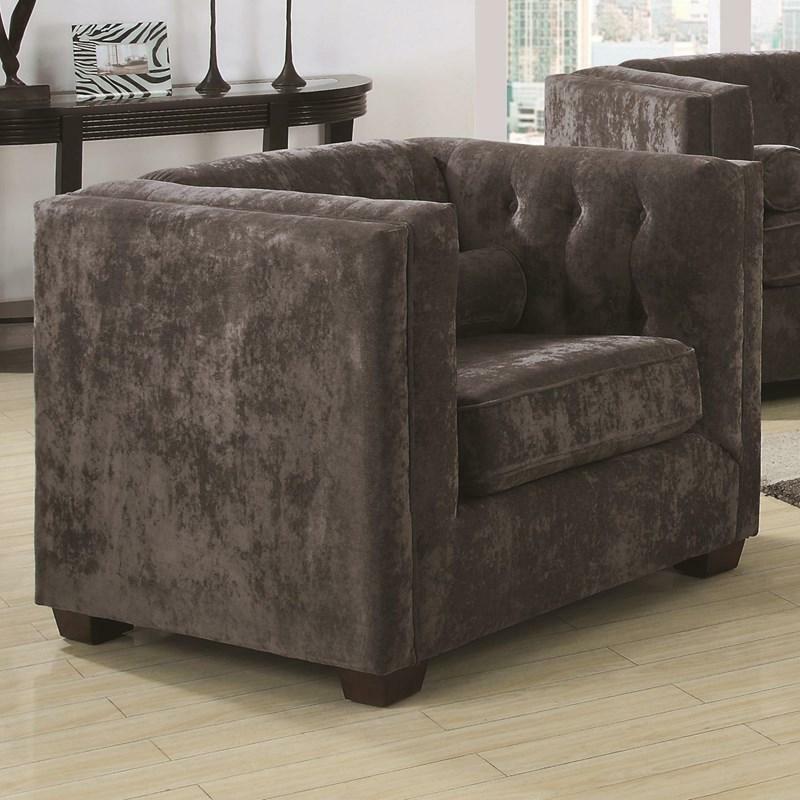 It features a tall padded back with a kidney pillow, a padded seat cushion, padded tapered arms, and a wooden base and runners. 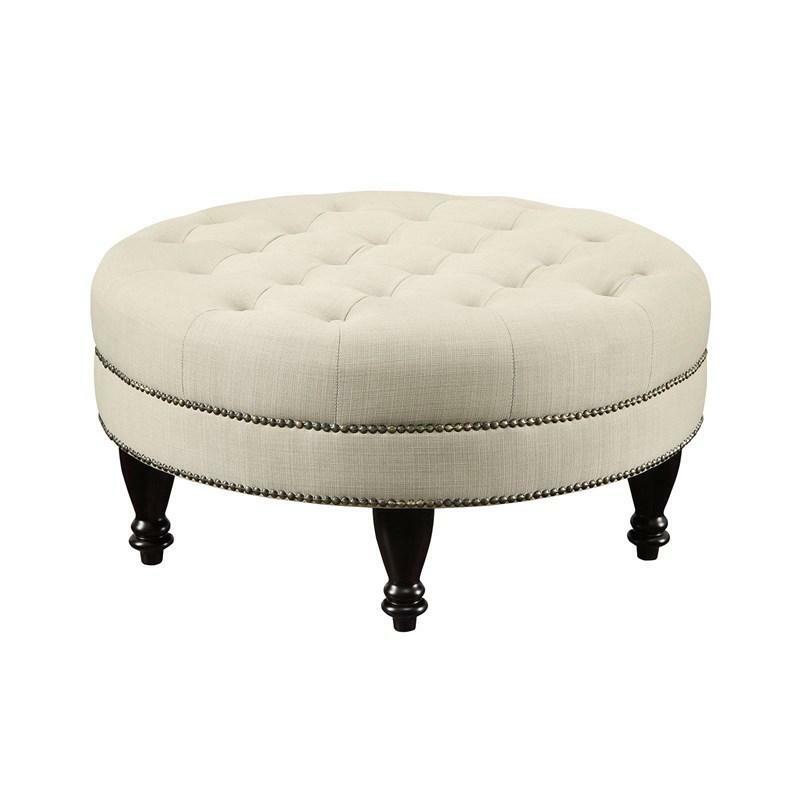 This traditional Coaster Furniture ottoman features a tufted, oatmeal color linen-like fabric adorned with two rows of bronze nailhead trim along with turned legs in dark brown. This piece can also be used as seating when needed.